I must confess, I’ve never really liked whisky. But after accepting a recent invitation to a tasting evening with Lady of the Glen, I’m happy to report that I now appreciate its complexities and sensory delights. Lady of the Glen is an independent bottler of Scottish premium cask whiskies, founded in 2012 by Gregor Hannah when he was just 27. Gregor developed his love of whisky through his father’s collection – Dad was a piper and traditionally their services are paid for with a bottle of whisky. Every LotG bottle is a limited edition, so there are never more than 300 of any type. Which is one reason a LotG tasting is such a treat. It’s a chance to try whiskies that have otherwise sold out, such as the smooth Littlemill we sampled from a burnt down distillery. Our host Gregor proclaimed he was a nervous public speaker, but I found him engaging, knowledgable and passionate. 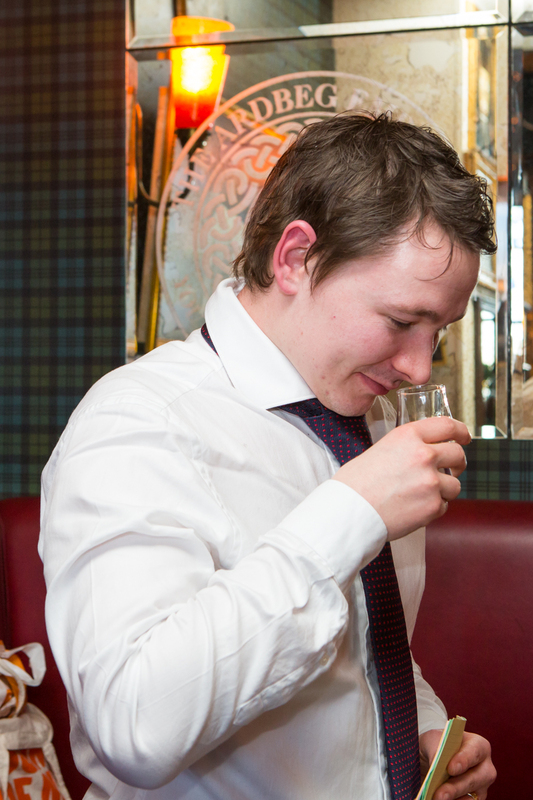 He told us each whisky’s story; its origins, strength and tasting notes. All LotG whiskies are single cask (rather than blended) and they’re all cask strength (very strong). We tried them in order of release by LotG, to get a sense of the company’s development, but usually they would be sampled from weakest to strongest. Below I’ve outlined my top three. If you’d like more details on any of them, I recommend Gregor’s blog, or Single Malt Female’s write up of the evening. The first whisky we tried was my favourite: a 56% 24 year old Invergordon, which had a sweet vanilla flavour. It was LotG’s first release and all 300 bottles sold out in 30 days. I also enjoyed the 14 year old Ben Rinnes, a Speyside malt aged in a refill sherry cask. 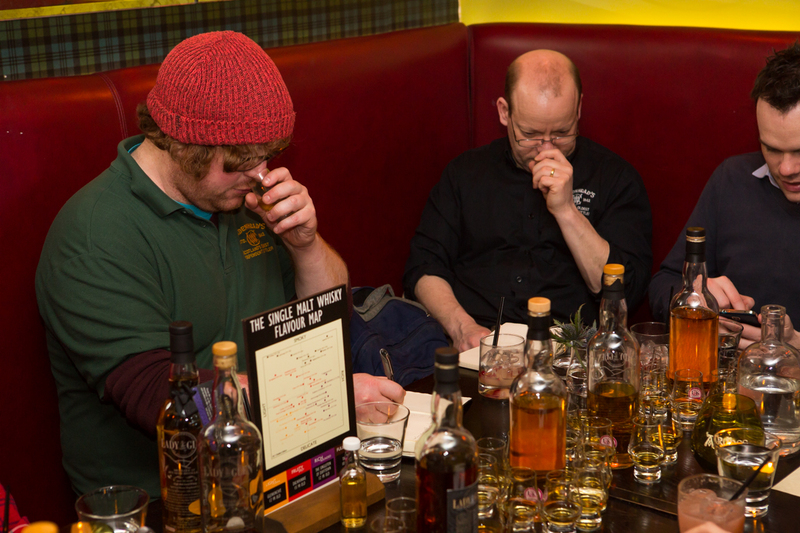 It was powerful and spicy, our strongest whisky of the night at 57.8%, with a red apple and citrus finish. Apparently it would normally be blended, so to enjoy it as a single malt was a rare treat. In fact, only 86 bottles were produced and they’re all sold now. I also enjoyed a 52.3% 20 year old ‘secret’ Speyside (meaning the distillery has chosen to not be revealed.) It was aged in a bourbon cask, with peach on the nose and a pleasant lemony flavour when water was added. Some of the 200 bottles are still available and it was one of the first bottles to have its information etched into the glass rather than printed on a label. Designed to reduce fraud, it actually makes for a very elegant bottle, clear all the way through. 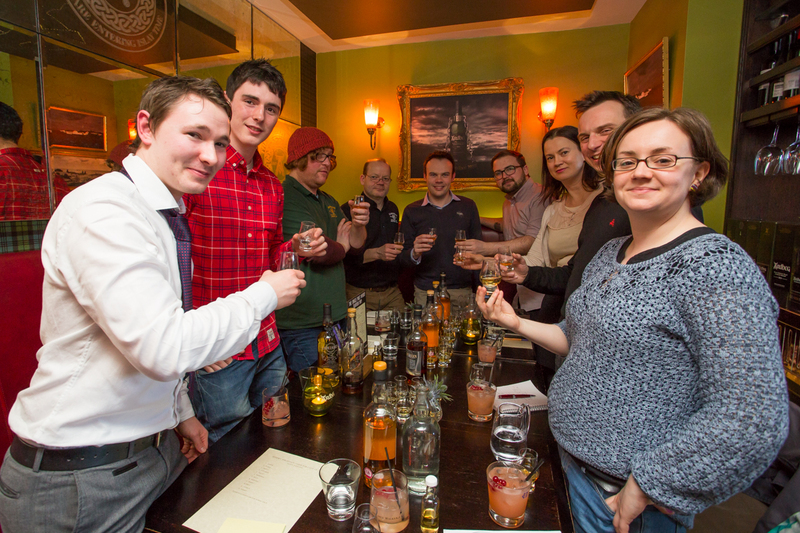 The event was a sneak preview of future ticketed events and the next one will be in May, where some of the whiskies I sampled will be revisited. 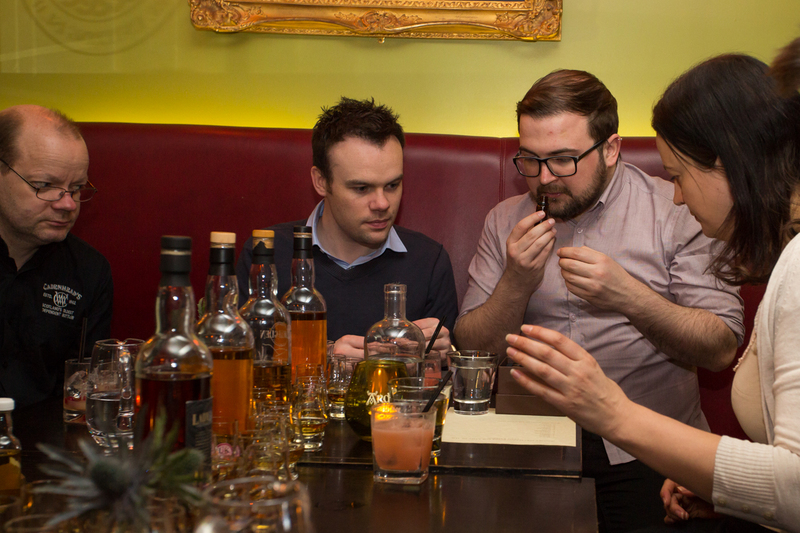 I would highly recommend a tasting if you’d like to try some very rare whiskies or know more about the industry. If you can’t wait, buy a bottle. They’re more than worth the below-market-value price-tags, currently kept low to encourage interest in the young company. You can also sign up to the newsletter for information on upcoming sales. And you’d be wise to do so – Lady of the Glen is one to watch. Last updated by AmyB at April 19, 2015 .